Java program to calculate salesperson commission. The following program has been written in five different ways like using standard values, Taking inputs through scanner class, using command line arguments, user-defined method, creating a separate class. The following code can be used in any different manner, for salesperson, java code sales commission calculator, simple commission calculation program part 2. 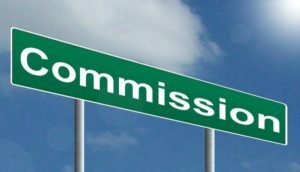 How to calculate commission rate? Multiply your commission rate by your commission base for the period to calculate your commission payment. Java code for obtaining commission percentage taking inputs through scanner class, Java salesperson commission and, simple commission calculation program part 2. There you go another method by using command line arguments. If you no idea about command line arguments you can check out the guide here on how to command line arguments works #simple commission calculation program part 2. By using a user-defined method we wrote the following program to calculate commission percentage program.